A new website, http://www.MakeMECrafts.com, features art, crafts and products made by M.E. 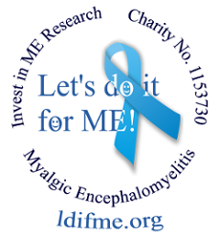 sufferers and their family and friends, with profits being donated to 'Invest in ME' to help fund a UK M.E. centre of excellence for biomedical research and treatment. Make ME's aim is to draw focus to the little things that people with this condition can accomplish, bit by bit, instead of the bigger things they can't; to shift attention to the positive ways that the bed-bound can still make a difference. Being ill doesn't mean you have to stop being creative! These courageous people are sending their lovingly created crafts out into a world they can't be part of, to raise awareness and fight for real and effective M.E. treatments. 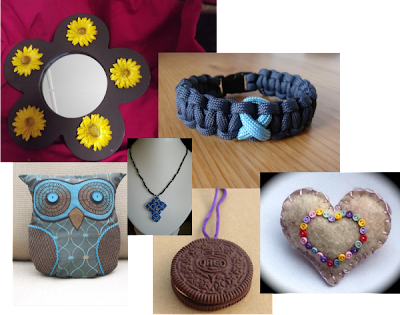 Crafts on 'Make ME' are made and listed by sufferers at their own pace, as they complete them, with many sellers working on projects a little at a time, as and when they're able. Unlike in the working world, there is absolutely no rush - no pressure. There are no demands to perform or time-constraints within which something has to be finished, giving them the flexibility to manage activities around their health. It's not about how fast you can do something, it's about how well you can do something. These people may be ill, but they certainly haven't lost their talent, their passion or their creativity. They just can't manage things on the same scale as healthy people. They may not be able to keep up with the break-neck pace of the world outside, but that doesn't mean they can't do something constructive; something worthwhile, bit by bit. To borrow a phrase from a well known supermarket: "Every little helps". 'Make ME' is about doing something rewarding for a good cause; allowing sufferers to find some purpose again and changing the way they're seen in the community. It's about showing people that underneath every broken shell is a real person trying to get out, to express themselves, to reclaim something of what they've lost and achieve some level of normality; to create and be a part of something wonderful in this world, as others are able to. 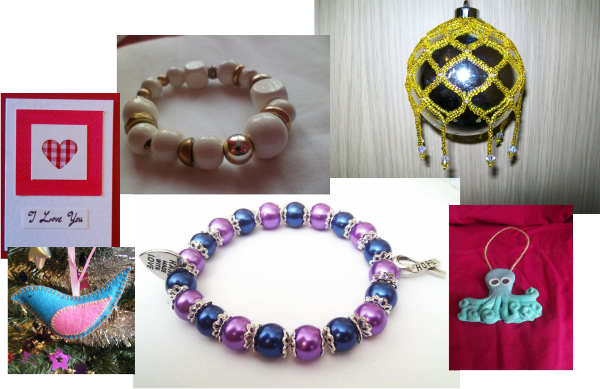 Arts and crafts have proven to be very therapeutic, offering catharsis to a great many people from all backgrounds. Making things creates a real sense of accomplishment - something that's very important for all of us to retain, especially if we're unable to achieve much in other areas of our lives. The 'Make ME' project is part of the 'Let's do itfor ME!' patient driven campaign supporting the pioneering M.E. charity 'Invest in ME' (Charity No. 1114035), who are leading the charge for invaluable translational biomedical research into M.E. They plan to open an M.E. centre of excellence right here in the UK, the first of its kind in Europe. With your help they hope to revolutionise the diagnosis, treatment and care of M.E. and raise awareness and understanding of this debilitating condition. 'Make ME' is expected to expand and grow as part of its natural development, with the possibility of fairs/shows/workshops/tutorials/meets/forums/blogs and much, much more in the future, all painstakingly managed around the fluctuating health of participants. 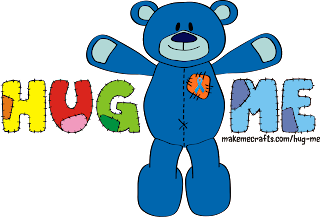 Their most recent campaign 'Hug ME' calls for handmade soft toys and cuddly things for sale, auction or donation to a young person with M.E. - to help bring a smile to a suffering child. Let's support these incredible people 'doing it for ME', working not just to improve their own situation but that of many others suffering from this disease all around the world, bringing hope and pride to sufferers everywhere. Buy some goods, tell your friends, donate materials or get involved! All crafters are welcomed with open arms and open hearts. Seller registration and item listing is free, as long as you agree to donate a portion of your profits to 'Invest in ME'. They'd be grateful of any support you can provide.